You can purchase the 30-page combination unit for Squirrel's World and Cork and Fuzz Short and Tall by Dori Chaconas for immediate download for only $9.95, with site license for one school! Click Here to purchase and download! all in the same 48-page immediate download! Cork was a short possum. Fuzz was a tall muskrat. They were best friends, but they were different. It had not seemed too important until Cork realized that he was shorter than his younger friend, Fuzz. To Cork, the rules had been broken. To preserve the friendship, could the two friends make Fuzz shorter? Or, could they make Cork taller? Three of the four chapters end in cliff-hangers and will keep you guessing to the end. You will want to put this book beside your bed next to Frog and Toad. As you read it over and over, you will realize it has won a new place...in your heart! 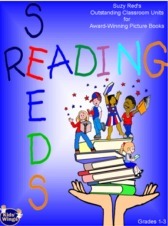 Cork and Fuzz Short and Tall and 39 other award-winning books are available in our Reading Seeds Book and CD Collection on sale for only $25 or $.64 each! 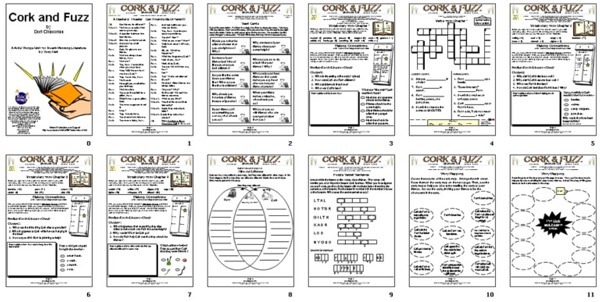 This 12-page unit for Cork and Fuzz, Short and Tall is a part of a collection of 42 units in Reading Seeds.